Don’t have WorkflowMax for iOS yet? Download now! So what’s new in Release 1.3? Now when you view the jobs screen in the mobile app, you’ll notice a little funnel icon on the top right of the navigation. This is your filtering mechanism. Simply press to navigate to the filters screen. You’ll be presented with a range of options. You can select the filters that apply, (and save your settings if you’re likely to use this filter again!). 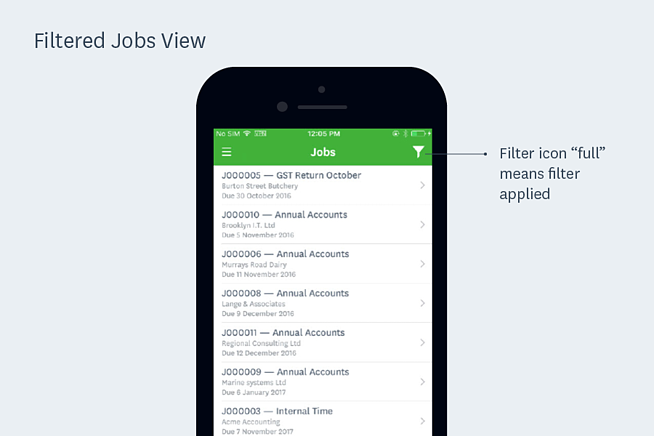 A filtered jobs view looks like this (see screenshot below). Note the funnel icon is “full”, denoting filters have been applied! 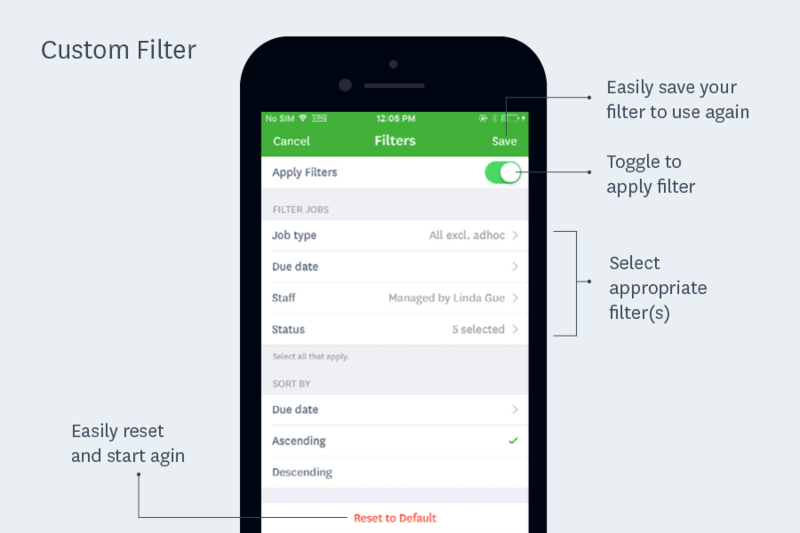 The filter functionality is designed to be user specific – i.e. 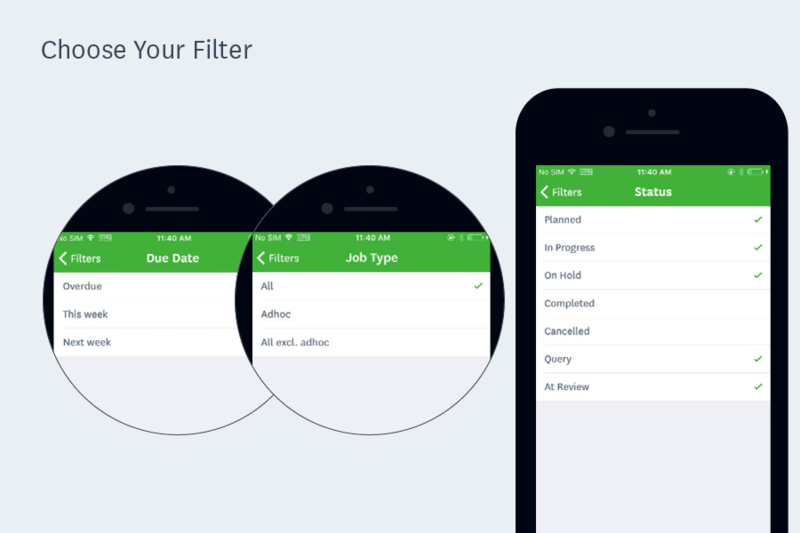 you can apply your saved personalised filters across mobile devices. 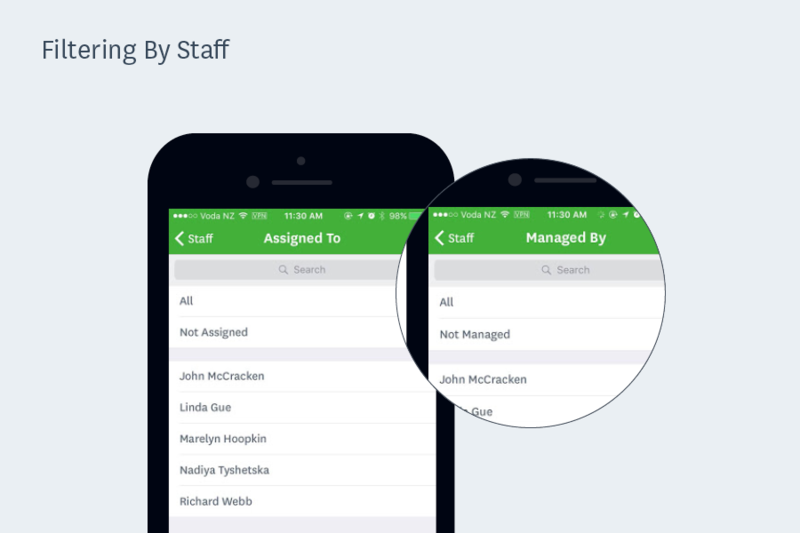 You can filter your list by job type, current workflow status, due date and staff management or assignment. You can also combine variables to customise your own view and apply as needed. For example, jobs that are assigned to particular staff members and due this week. We figured you would want to focus on jobs requiring your immediate attention so we’ve kept due date options limited to the simple, easy to use timeframes you're used to in the existing web interface. Let us know if you'd like to add custom ranges in future! Delve deeper into staff management by choosing jobs that have been assigned to or are managed by particular staff. We’ve added an easy sorting functionality. 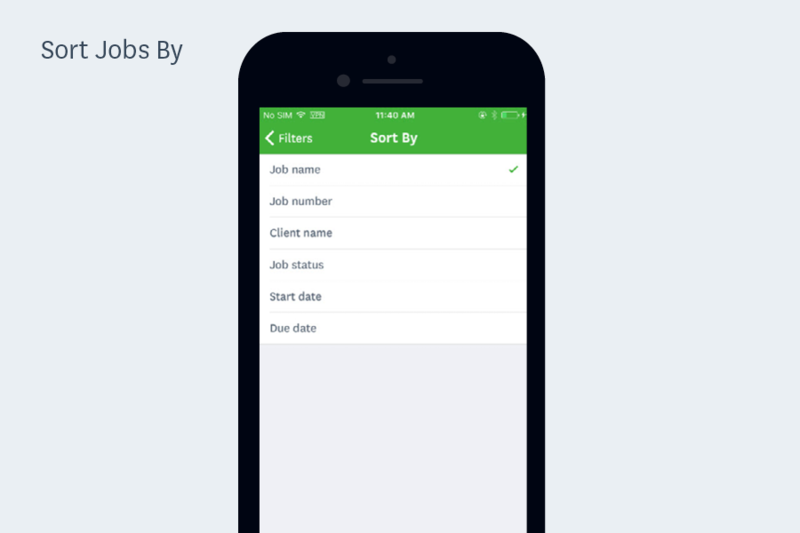 Simply select how you would like to sort your jobs. This is the third update in for WorkflowMax iOS app (check out Release 1.2 about retrospective time entry here). Your feedback is extremely important to us and helps us prioritise further development. So please keep the comments coming and sign up to the blog for updates about the next release!